Today's post showing another El-Corazon beauty with an image stamped from new Pueen buffet(leisure) stamping plate. 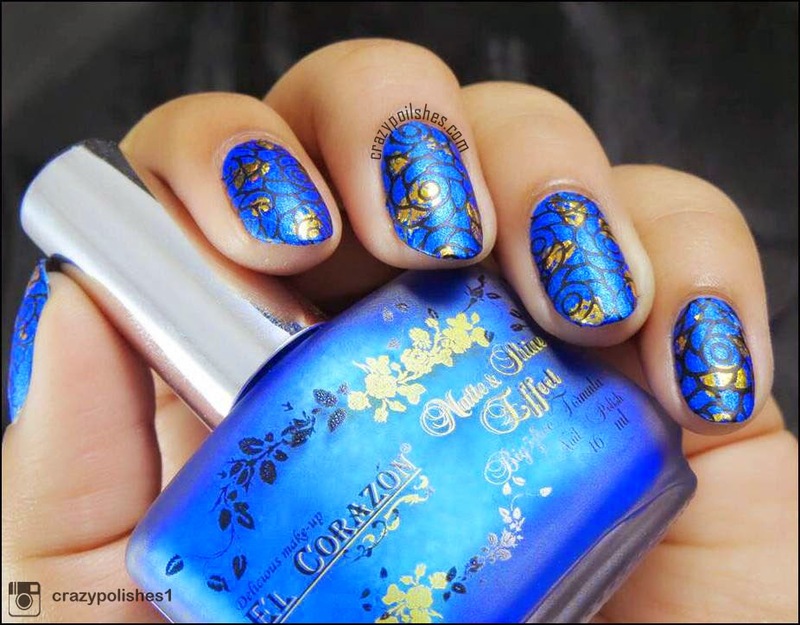 El Corazon matte n shine collection has fourteen shimmer-y polishes that dries matte. 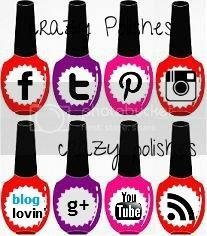 I have got couple of them and you will see me using them in my upcoming nail arts(see no. 162 here). formula of this collection is great. Requires just a single medum coat or two thin coats to cover nail. I have a feeling that these will work as stamping polish too considering how opaque they are. I used two thin coats for the pictures and no top coat. For this nail art, i applied two coats of El Corazon matte n shine no.161*. Over it, i applied golden foil at random spots and then stamp over a flower image from Pueen 79 stamping plate. I used konad black stamping polish. I used hk girl top coat. My pinky finger smudged a bit because i didnt apply top top coat light handed and the foil underneath crinkled. 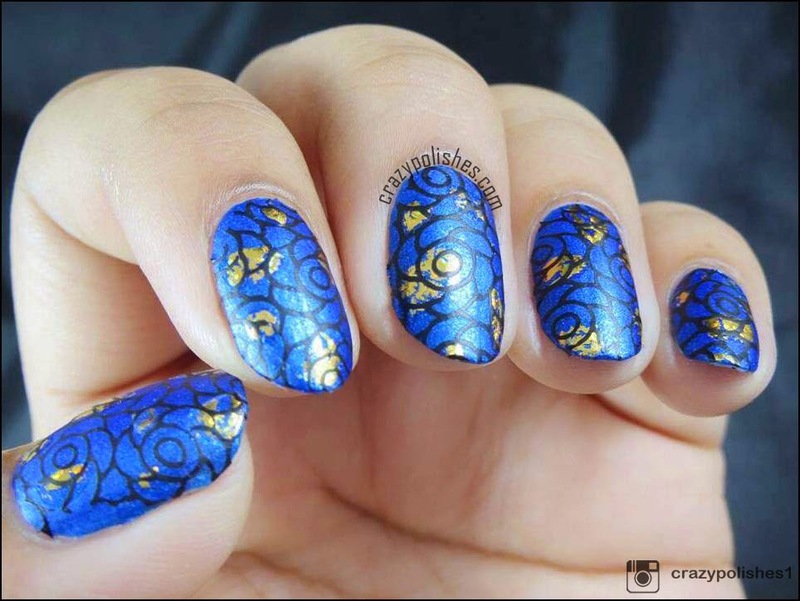 Hope you like this nail art. You can buy El corazon Aquarelle Tints from their website. 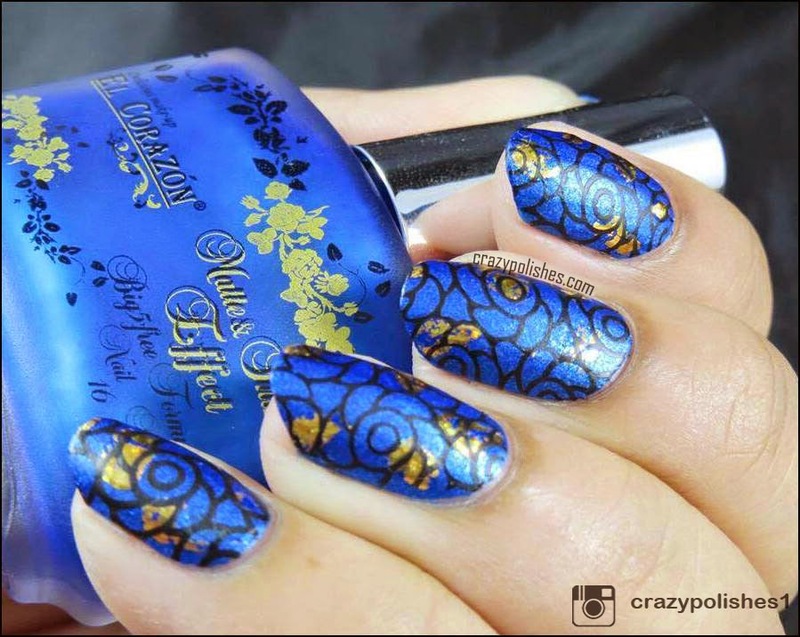 Hypnotic Polish also ship El Corazon nail polishes worldwide, though they are not having aquarelle tints on the shop at this moment, I will update as soon as i hear from them.